GOLD Fields had suffered cash burn of R120m to date as a result of a strike by the National Union of Mineworkers (NUM) – now entering its 20th day (R6m/day) – at the firm’s South Deep mine west of Johannesburg. This was despite attempts to resolve the strike where progress had been good, but was thwarted by the NUM’s South Deep branch which decided to “… reject the strike settlement proposals and continue with the strike action,” said Gold Fields in an update today. Revenue losses had been partially offset by lower operating costs including the imposition of a no-work, no-pay rule. 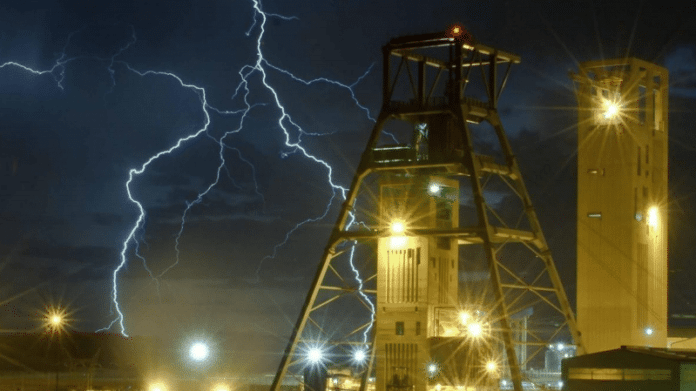 “There is nothing to gain in this strike – the company is not in a position to reverse the retrenchments, which are a critical component of the restructuring of the mine and essential to save the remaining 3,500 jobs,” said Nick Holland, CEO of Gold Fields. To date, striking employees had lost over R55m in wages and earnings. “This strike therefore benefits nobody and only places South Deep at greater risk,” said Holland. The strike had also involved violence and intimidation which had been undertaken by a small group of NUM members, the company said. Gold Fields was paying out retrenchment packages of 1,082 employees affected by a restructuring of South Deep announced by the company in August. The likelihood of the mine ever reaching its 500,000 ounces/year production target by 2022 appear remote although a new mine plan would be unveiled in February. South Deep has been a major disappointment for Gold Fields. Some R35bn has been absorbed by the mine, including the capital related to its purchase from Barrick, but it had yet to provide sustainable positive cash flow. At the time of announcing the restructuring during August, Gold Fields estimated a cash outflow of R756m alone this financial year. Gold Fields called on the NUM to bring an end to the strike and violence in order to restart production and curb losses to date. Gold Fields said during an operational update earlier in November that it was not expecting further production from South Deep this year. Gold Fields kept adjusted production guidance unchanged for its 2018 financial year. This was despite disappointing numbers from South Deep which is forecast to deliver about half of its re-scoped 322,000 ounces target set in February. The group’s full year production would be two million ounces, the level estimated in August after it said earlier this year that up to 2.1 million oz was likely. The reduction was based on the then performance of South Deep. Happily, a contribution of first ounces from Asanko Gold Mines (AGM) helped offset some of the deterioration at the West Rand mine. I wonder if it would make sense to shut South Deep permanently? Mr Holland has shown the world quite clearly that after countless plans the mine is not viable. Clearly the workforce is as unhappy as Gold Fields’ shareholders. Time to draw a line under this debacle. Turn off the pumps, turn off the ventilation, turn off the fridge plant and lock the gates. Gold Fields should just close down this problem mine once and for all… Then they can strike all they like for as long as they like and management can spend their time on the operations (all outside of South Africa) that actually generate cash and presumably can do even better when management stop wasting their time on this dog…. South deep should NOT be closed down nor sold off as some suggest. BUT Nick Holland needs to be fired and someone more capable appointed to steer GFI in a more profitable direction which invariably does involve South Deep as a key assets of the portfolio.